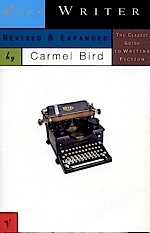 I've been reading Dear Writer, a book by Carmel Bird, while writing my current project, The First 5 Years. Bird's book is excellent and if you are writing, then get yourself a copy. I liked how she cautions about writing down the various thoughts one has about a topic, as if that is the story. It's okay to have thoughts about how you will begin a chapter, for example, but then you must take the thoughts and craft them into writing. She suggests removing the first paragraph of a chapter and then seeing how that works. It's possible that the first paragraph is you thinking about how you will begin the chapter, rather than you writing for the reader. Try it.